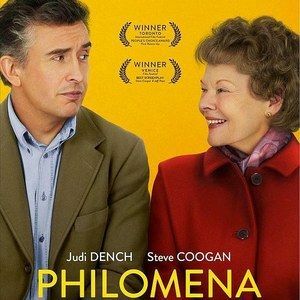 Dame Judi Dench and Steve Coogan bring an incredible true story to life on the big screen with the first trailer and two posters for Philomena. Stephen Frears directs this adaptation of Martin Sixsmith's 2009 book that follows an Irish-Catholic woman who, with the help of a BBC reporter (Steve Coogan), tracks down the son she sent away for adoption in the United States several years prior. The drama will be released by The Weinstein Company in limited release November 22, with an expansion to follow on November 27. Based on the 2009 investigative book by BBC correspondent Martin Sixsmith, The Lost Child of Philomena Lee, Philomena focuses on the efforts of Philomena Lee (Judi Dench), mother to a boy conceived out of wedlock - something her Irish-Catholic community didn't have the highest opinion of - and given away for adoption in the United States. In following church doctrine, she was forced to sign a contract that wouldn't allow for any sort of inquiry into the son's whereabouts. After starting a family years later in England and, for the most part, moving on with her life, Lee meets Sixsmith (Steve Coogan), a BBC reporter with whom she decides to discover her long-lost son.